Find explosive power and speed in double unders or muscle-ups. These men's training shorts are made of ultra-lightweight stretch woven fabric so you can move freely. 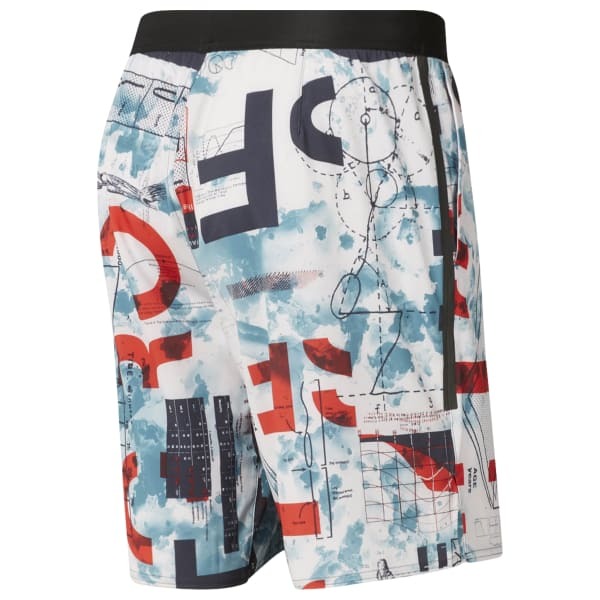 The allover print celebrates CrossFit's scientific approach to fitness. Convenient hand pockets make them easy to coach in or wear outside the gym.